Which haircut on Lucy do anda like better? Did anda like her in Sisterhood Of The Traveling Pants 2? Did anda see her in Sisterhood Of The Traveling Pants 2? Do anda like Lucy and Ian? Hello! How can anda get an account back if it's been deleted? I tried to contact fanpop but nobody ever responded. What else am I supposed to do? Is there any special e-mail adress of Fanpop? 1 to 20, how much do anda think lucy is pretty??? Life Sentence is an American comedy-drama series that will debut on The CW as a midseason entry during the 2017-18 televisi season. 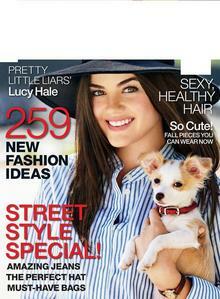 a link telah ditambahkan: Lucy Hale Thought Aria Montgomery Was "A" in "Pretty Little Liars"